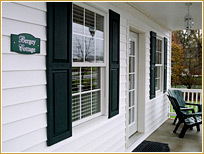 Located in the heart of the Shenandoah Valley in Virginia, the By the Side of the Road B & B must have seen a lot in its day. This grand structure was built shortly after the American Revolution. Nowadays it is a charming southern bed & breakfast, and home to some ghosts. There are accounts of ghostly activity such as opening and shutting doors, and making odd noises at all hours of the day and night -perhaps some restless ghosts from its war-torn past. Based on its history, it’s not surprising that it would generate spirits to come back and visit. 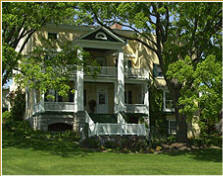 According to the inn’s website, the house served as a Civil War hospital following General Philip Henry Sheridan's devastating "burning of the Valley" in 1864. After three unsuccessful attempts to ignite the flame retardant locust wood foundation timbers, Union soldiers moved on. As one of the few large structures to survive the raid, the house was a natural refuge for the wounded and homeless.